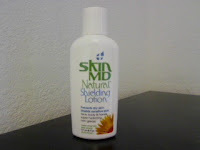 Skin MD : Based in Beverly Hills, California 21st Century Formulations is leading the way in dry skin care with the creation of their natural lotion line Skin MD Natural. This natural lotion was formulated by a team of innovative chemists, with over twenty years of experience in developing personal care products for many internationally respected cosmetic companies. Skin MD Natural was produced using a blend of five natural plant extracts, developed after years of research. We are committed to providing you with the highest quality skin care product possible. This is why our products contain no fragrances, colorants, parabens, toxic ingredients or gluten. 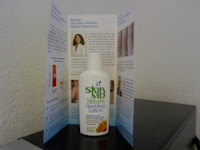 .Skin MD is easy to use, like all lotions you just simply apply a small amount, initially ever 2-8 hours until moisture level improves, then just once ever 12-24 hours. I have small patches of dry spots all over my body and I have used TONS of lotions in the past and they never healed or even made a little bit of difference. The first thing I did when i recived my Skin MD was apply it to those dry spots and I could tell a huge difference within hours! they were not as rough or red looking as they were before Skin MD, and within 2 days the spots were gone and I had smooth skin again. You can use Skin MD for eczema too, which will be great for my husband because his face breaks out once in awhile with eczema. This will be great to have for those occations. Skin MD also reduces crow's feet. This is a great product for any kind of skin condition and I would recomend it to anyone. Go to Skin MD's facebook page "LIKE" them and tell them Laced Kittens sent you! ♥ I receive no monetary compensation for this review. I was provided a Skin MD to try and give my honest opinion.